The family home a different way. Exciting spacial arrangements are created by splitting split levels in this one family house. A central atrium like staircase accesses all levels and guides daylight deep into the building volume. 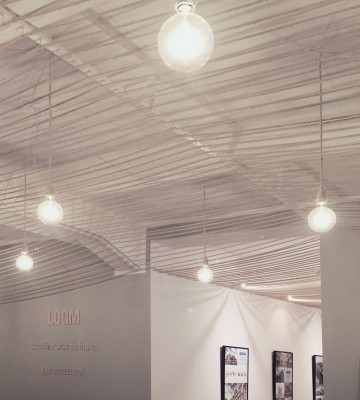 The idea that defines this lofts is upside down. Instead of having the functions such as bathing, storing, cooking and working centrally arranged, open living spaces are placed in the middle. The living room extends over the center to all four outer sides and this creates exciting spatial connections. Through niches and generous dormers at the end of each "arm", some intersting views arise. In keeping with the industrial character of the site, the same basic form is "stacked" over the property with different orientations. 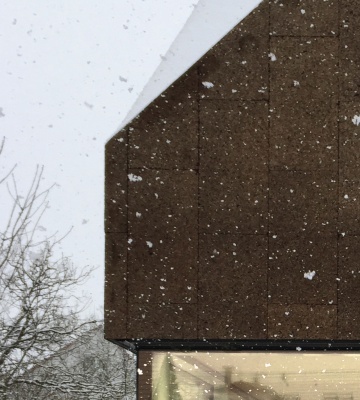 Due to the restricted visibility of the façade along the main road, the roof has been designed in such a way that it creates the landmark character of the building. At the western entrance of the promenade, the multi-family house creates a new entrance situation for the transition between the historical old town and the former industrial area ... More information can be found here. 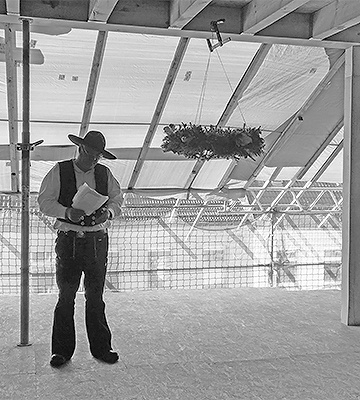 The new TAZ building is taking on the egalitarian and non-hierarchical mindset of the renown left-oriented editing and publishing house, and reinterprets this approach spatially anew. Consequently, rather than using isolated floor plates, all employees are seated on “one level”. 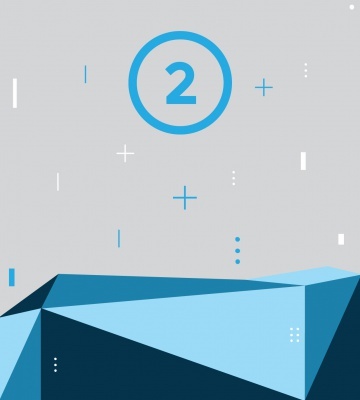 rundzwei consist of a team of architects and Engineers in freelance and full-time employment, which sketch, design, research, plan and control. Together we accomplish architecture with character and high quality. rundzwei works on a broad range of projects from all fields of contemporary architecture, urban planning, interior and product design. Through our conceptual and research based design approach we have become the perfect partner for densification on complex sites in urban areas. 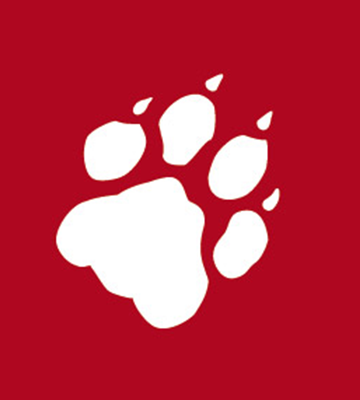 We are working with private, corporate and public clients and offer the full spectrum of design services. The conceptual design strength of rundzwei is rounded up through an extensive network of partnering offices and consultant firms which enable us to offer the full spectrum of architectural services from feasibility studies, concept design, energy consultancy through to construction management, documentation, sales brochures and websites. By collaborating with foreign architectural and engineering offices we ensure that the high quality of our concept and design for international projects is realised up to the built project and beyond. This way every client’s individual needs can be satisfied through our trusted network. We offer researched based concept driven architecture and work in close exchange with our clients. Together with the client we form the brief and the parameters of each individual project. 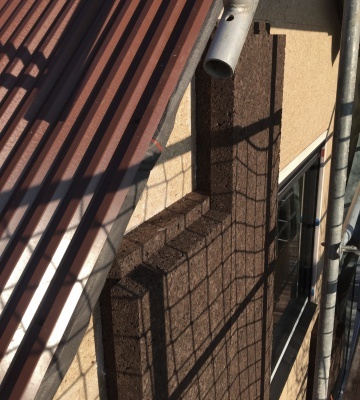 Our designs are informed by local references, user group studies, sustainability, materiality as well as cost efficiency and local regulations. The first interpretations of the clients brief are deepened and the concept strength enhanced by further development and collaboration with the client and the authorities. We offer all design services up to the planing application. 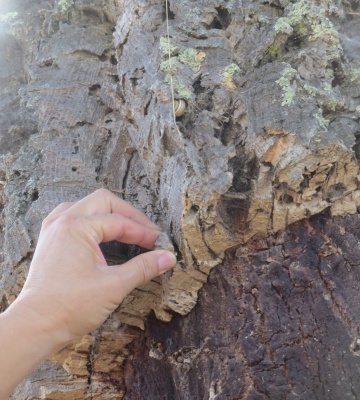 On international level we tend to team up with specialist partners from our broad network of collaborators depending on location and size of the project. We offer the full range of construction documents on a national level. For large scale projects and on international level we collaborate with specialist partners. For smaller projects we are the perfect partner to provide tender documents and specifications. We help the client with the tendering and contracting of construction firms and control the correct execution on site. For larger projects this phase is covered by our partnering offices or by the clients choice of main or general contractor. rundzwei offers the architectural site supervision and oversees the tender process. 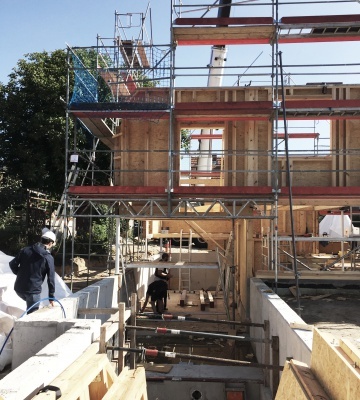 Joined Private Client Projects "Baugruppen"
rundzwei offers service for private client groups that enable the realisation of large scale housing and social projects. We help in the formation of the groups and their members, offer advice on site acquisition and make first feasibility studies. After formation of the group and the acquisition of a site rundzwei offers the full spectrum of architectural services to these “Baugruppen”. 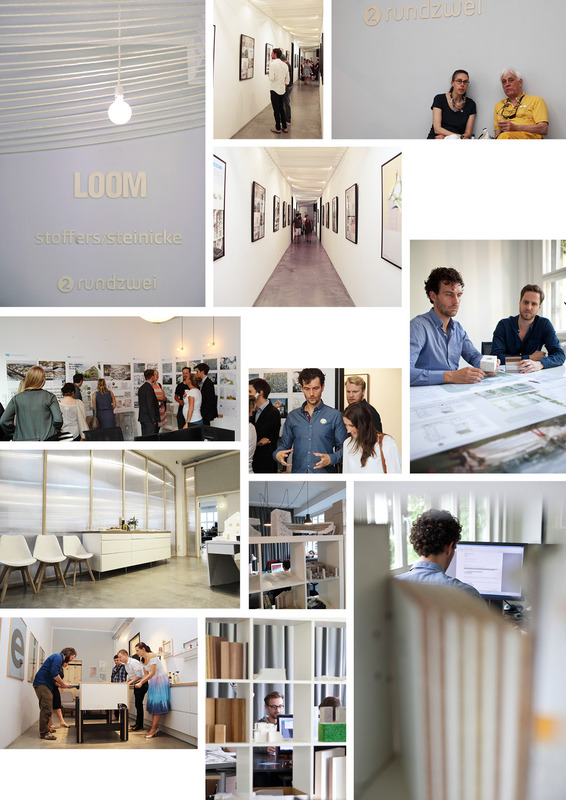 Together with LOOM for all topics around digital & media and Stoffers/Steinicke as full blood designer we share our 800m² creative Loft-Office, the Entrance B. This generates a perfect symbioses of design lovers and enables us to provided services to our clients beyond the architectural scope. We wish everyone a Merry Christmas and a Happy New Year 2019. We thank everyone for the successful past year. 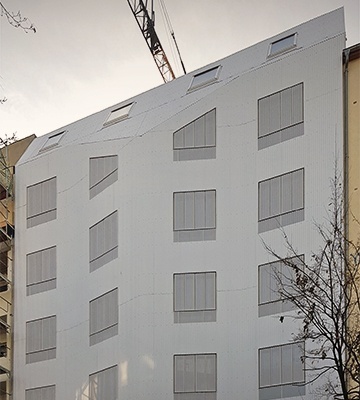 The corrugated aluminium facade's panels of our Berlin-Moabit project have been entirely installed and the building approaches completion! 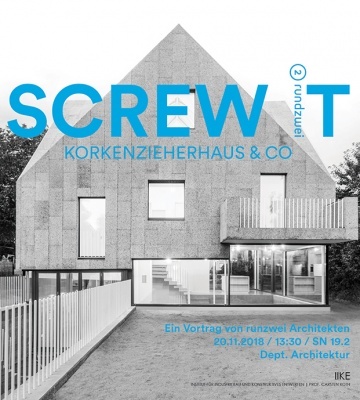 SCREW IT lecture of rundzwei at IIKE Institut für Industriebau und Konstruktives Entwerfen of TU Braunschweig. 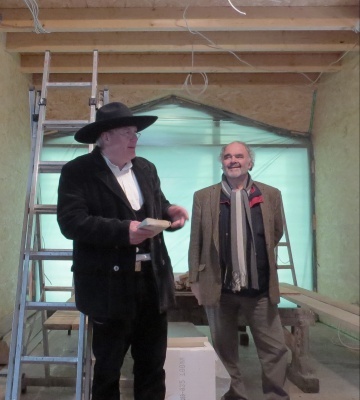 Rundzwei celebrated the topping out ceremony in the Hausburgstraße. 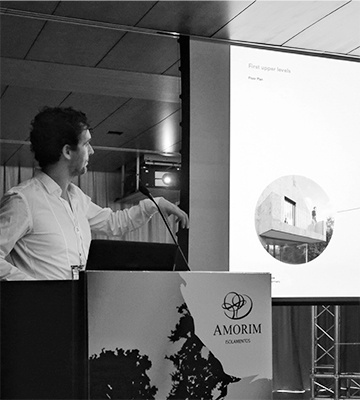 Anderas Reeg presents corc screw house in Lisbon. 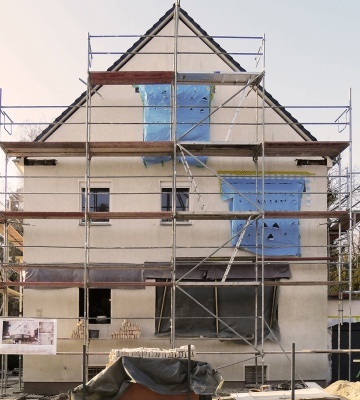 The facade caldding of the Wilhemshavener Straße project is being mounted. 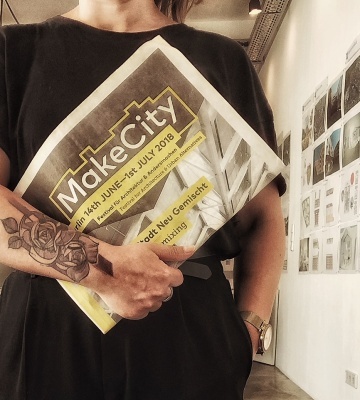 Rundzwei was this year at MakeCity Berlin with 035_WHS66 and 042_LivingSpiral. 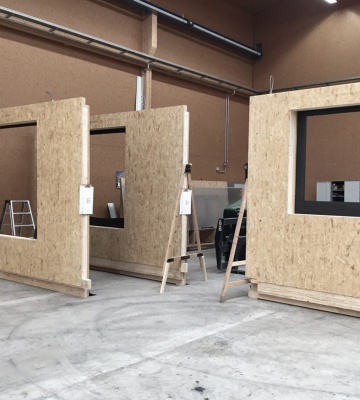 Prefabricated timber elements were assembled at the fassade. 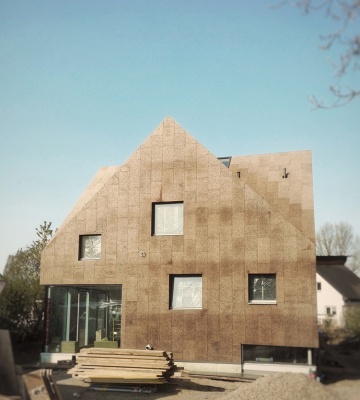 The cork cladding of the cork screw house is finally completed. 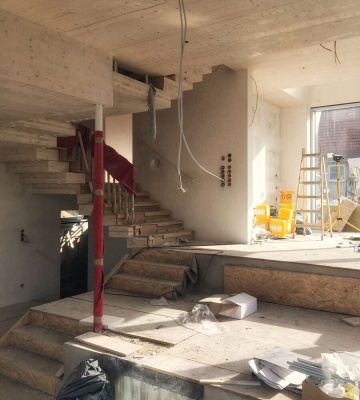 The final countdown for the last work on our project 042_Korkenzieher Haus is running. 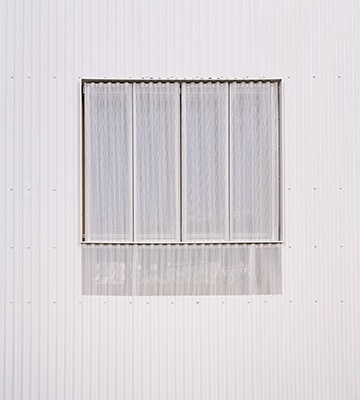 The prefabrication process of the facade elements for our project 035_WHS66 started. 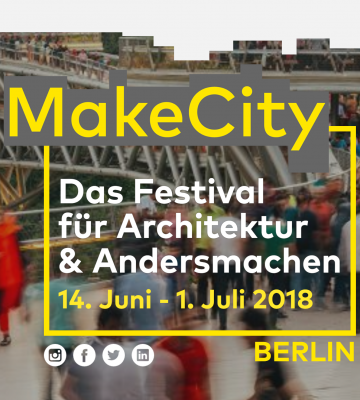 From June 14th to July 1st 2018 rundzwei was at "Make City Berlin - das Festival für Architektur & Andersachen"! 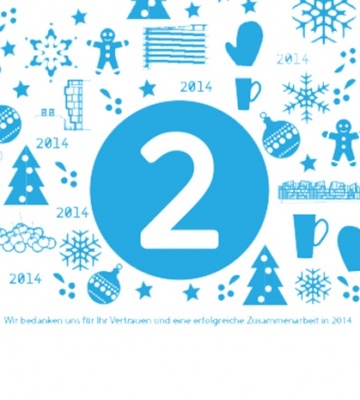 rundzwei wishes you a Merry Christmas and Happy New Year 2018! The installation of the cork facade on our project 042_Living Spiral has started! 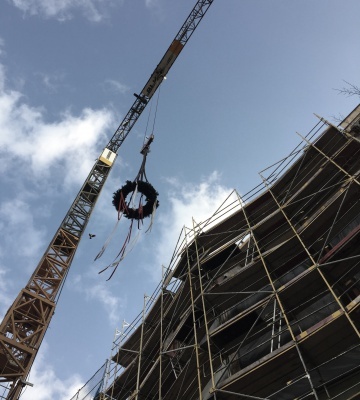 We celebrated the end of 2017 with the topping out ceremony of our project 035_WHS 66 in Moabit. We are happy to announce that the topping out ceremony of our project 042_Living Spiral has taken place. We had the "topping-out" ceremony for our project in Berlin Nikolasee! 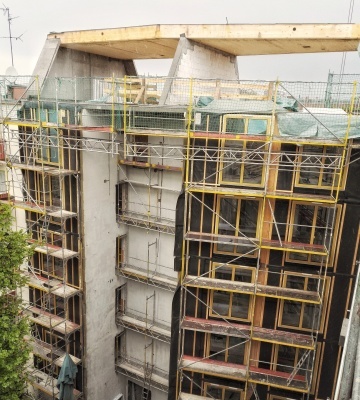 The timber structure of the 042_Living Spiral took its right place and was prepared to be clad in cork! 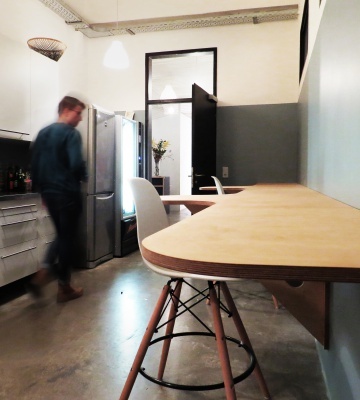 The first timber floor from our building in Wilhelmshavener Str. (Moabit) was done. 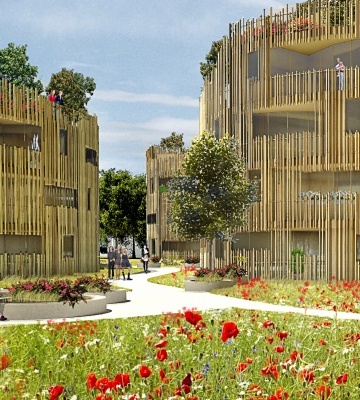 rundzwei has won the 1. prize in a open competition for a new residential building in Wittenberge! 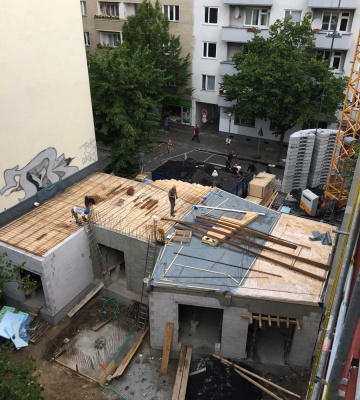 The roof conversion of a 19th century in Berlin-Nikolassee has started. The roof is being transformed into a a modern spacious loft apartment. 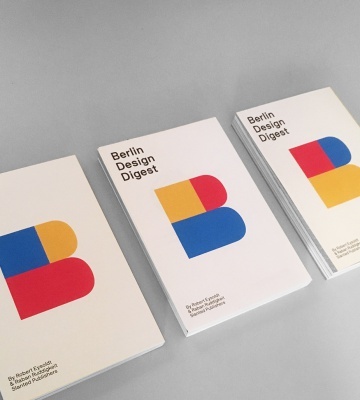 You can find our projects 042_Corkscrew House and 022_LightCloud now published in the book "Berlin Design Digest". 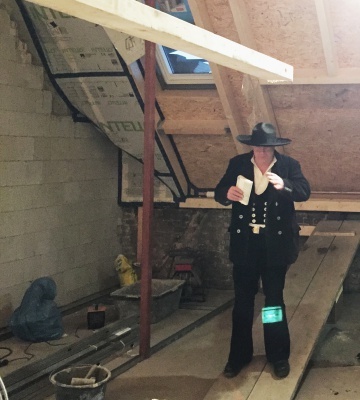 Our house conversion project began to take shape. 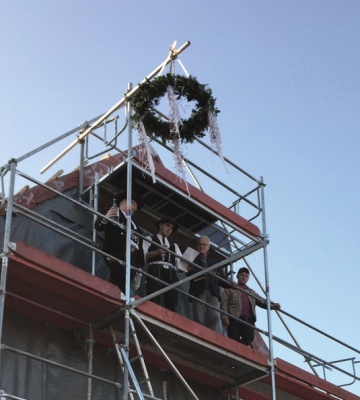 We had the 'Topping out' ceremony of our project in Samariterstraße! 042_Corkscrew house and 022_LightCloud publications in Berlin Design Digest 2017. The 4th floor of Aufgang B is in a metamorphosis process. 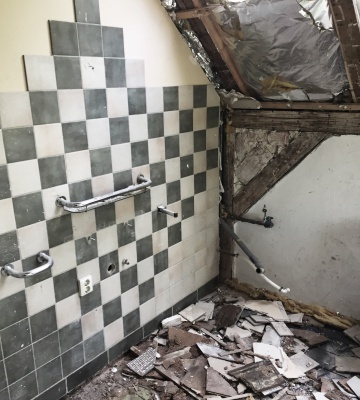 More on the renovation to come here soon. rundzwei was invited to participate on the 6th International Cork Conference in Lisbon. During the 2016 Nachtschicht - Berlin Design Night - we showed our exhibition "runzwei - Models in Progress". The GYNAEKOLOGIKUM opened its doors on April 1st. 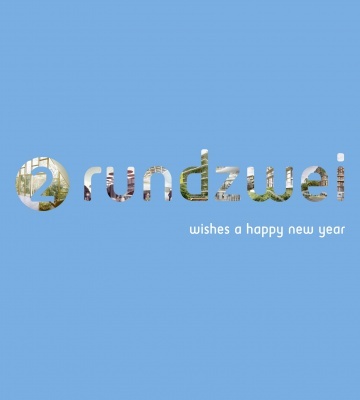 rundzwei wishes a Happy New Year! 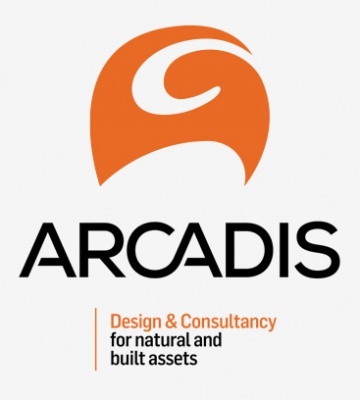 rundzwei is apointed to design the new headquater of Arcardis Berlin. 2600m² office space will be created. More to come soon. 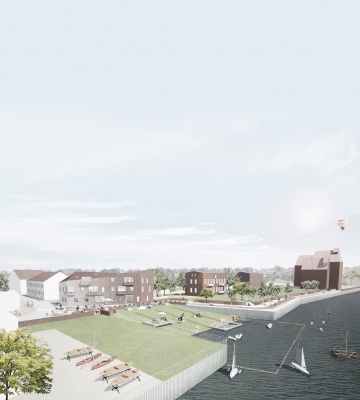 We have made the final presentation for our 8000m² residential invited competition proposal. 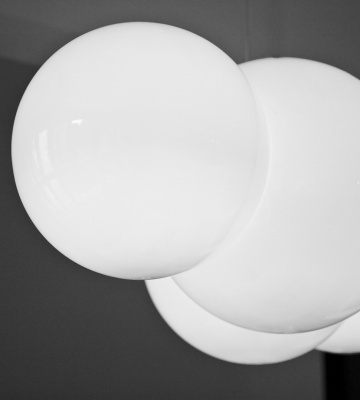 The 2nd prototype of the LightCloud selection, the H2O2-molecule has been finished and as given us further insight for optimisation. 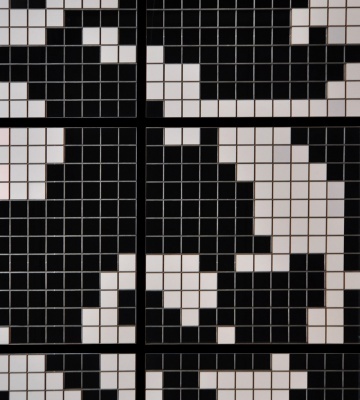 rundzwei participated at the 2015 NACHTSCHICHT - BERLIN DESIGN NIGHT. 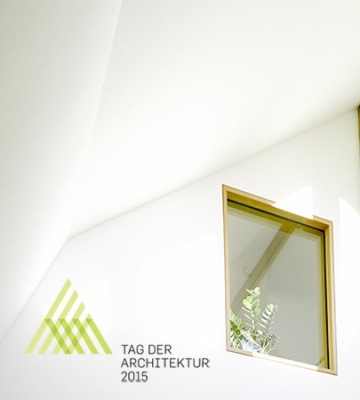 S82_a modern treetop house was selected for the national day of architecture 2015. We thank all our clients and collaborators for the trust and joint work in 2014.
rundzwei is glad to anounce the grand opening of our S82 Project. 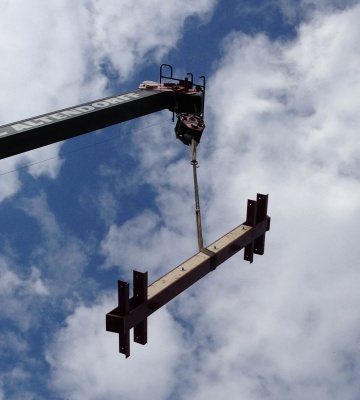 The steel frame flew in by crane. For the first time the dimensions of the new roof were shaping. rundzwei was selected as one of 7 young offices out of 310 applicants to design a new headquarter for the German Newspaper TAZ. rundzwei has completed its works on the first ODEEH Store in Berlin. rundzwei has won the 1. prize in an international architectural competition in the ME. 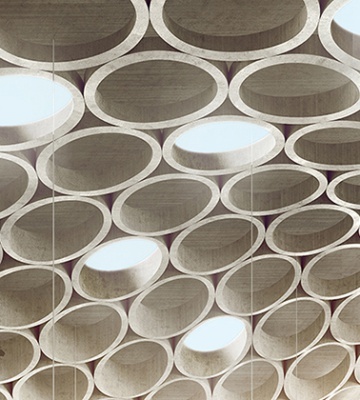 rundzwei is always looking for talented and enthusiastic young architects. We are looking for junior architects fresh from university or with 1-2 years work experience for a range of design and execution projects. Please send your meaningful application in form of a project portfolio (not larger than 5MB) to iwannabe[at]rundzwei.de. We are awaiting your application with anticipation! rundzwei is looking for a office assistant preferably with BA background for a full-time position. Your tasks are among others the office management, salary accounting and assistance to the office owners. You have 2 years work experience within other architectural offices then send us your meaningful application to iwannabe[at]rundzwei.de. We are looking forward to your application! 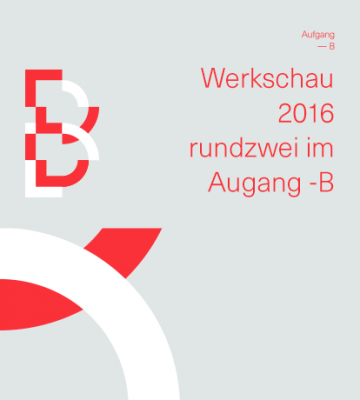 rundzwei is looking for architects with at least 4-5 years work experience. Ideally you have been leading a project from concept design, through planning up to and through construction phase. 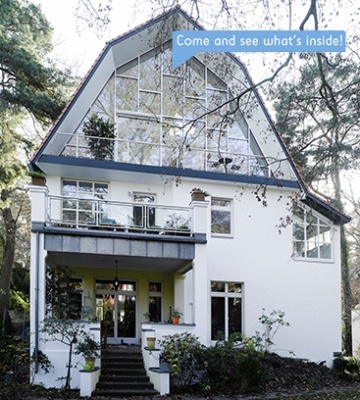 You are creative and you like special solutions, you are interested in detailing then send us your meaningful application with work samples (not larger than 5MB) to iwannabe[at]rundzwei.de. We are looking forward to receiving your application!